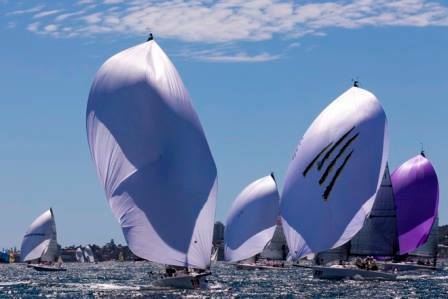 After three races Chris Way's Melges 32, Easy Tiger III (RPAYC) is leading 2Unlimited on pointscore thanks to two bullets and a second on the first day of the Sydney Harbour Regatta hosted by Middle Harbour Yacht Club. "We' were sailing higher and faster ..finally," a chuffed Way said back at the dock. The fleet numbers might be down overall with many of the leading IRC champion yachts taking a break this year, but the Melges 32 class with a healthy seven boat fleet is enjoying some of the fiercest competition ever seen in this regatta.